The History of Russian journalism covers writing for newspapers, magazines, and the electronic media since the 18th century. The main themes are low levels of literacy, censorship and government control, and the emphasis on politics and political propaganda in the media. In the autocratic Russian Empire, freedom of the press was not allowed, and journalism was strongly discouraged. Until the 1860s, adventuresome Russians obtain their news surreptitiously from foreign newspapers smuggled in. Writers such as Alexander Radishchev (1749-1802) who wanted to portray Russian conditions were sharply censored or punished. Official press releases were issued through several ministries, such as the war departments Russky Invalid 1813-1917. The first privately owned daily newspaper was the Severnaia Pchela (Northern Bee), edited with government approval by Alexander Smirdin (1795-1857), a well-known publisher of literary books and school textbooks, as well as the literary magazines Biblioteka Dlya Chtenya and Syn otechestva. The Northern Bee was published in St. Petersburg 1825-1860 and reached a growing urban middle strata with literary tastes. Upscale writers such as Alexander Pushkin ridiculed its pandering to common tastes. Andrey Krayevsky (1810-1889) was a Russian publisher and journalist, best known for his work as an editor-in-chief of Otechestvennye Zapiski (1839-1867), the influential literary journal. Another well-known publication that Krayevsky founded (in 1863) was the popular newspaper Golos (The Voice). Krayevsky was co-editor of Russky Invalid (1843-1852), Sankt-Peterburgskie Vedomosti (1852-1862, with the circulation rising up to 12,000). The reduction in censorship was one of the many reforms of Alexander II in the 1860s. He cautiously allowed a limited freedom of the press; some 60 daily newspapers were allowed to publish. In 1863 Krayevsky founded the highly popular newspaper Golos, its circulation reaching the high point of 23,000. In 1866 he became one of the creators of the first ever Russian Telegraph Agency (RTA). Aleksey Suvorin (1834-1912) was a leading editor, and book publisher, and a chain of bookstores. He was widely respected for the high quality of his editorial work, Which was tolerated by the government because of his conservative and nationalistic viewpoints. The Russian Bulletin promoted liberalism, praised Alexander II’s Great Reforms, and called for the rule of law and jury courts. By 1900 it called for a constitution and a parliament ("Duma"). It praised the peasant commune and the zemstvo. It wanted more equality and distrusted capitalism, industry and businessmen. While the government continued its censorship policy, the number of daily and weekly newspapers grew beyond its control. The solution was to slant the news before it was published. This was done by the St. Petersburg Telegraph Agency, which supported the tsars while increasing the public's political literacy. Between 1904 and 1917 it circulated factual information supplied by the government in order to create public opinion supporting the country's rapid industrialization as promoted by Sergei Witte, the Minister of Finance. Recognizing the power of the news agency for propaganda purposes, the Bolsheviks took over the telegraph agency in 1917. By the 1790s most subscribers to magazines were gentry, followed by clergymen and then merchants. Illiteracy among other groups exceeded 95%, so they included few subscribers. By the 1860s there was a much larger potential readership. Most magazines featured light reading, with a few devoted to literature. Vestnik Evropy (Russian: Вестник Европы) (Messenger of Europe) was the major liberal magazine of late-nineteenth-century Russia. It was published from 1866 to 1918. Editor Mikhail Matveevich Stasiulevich (1826-1911) sought to explicate both liberalism and socialism with examinations of French socialist Pierre-Joseph Proudhon and English liberal John Stuart Mill. He avoided radicalism and looked for a middle way in which Russian liberalism would not clash with the working class or with socialism yet would remain distinct from European bourgeois liberalism. Nationalism was an increasingly powerful draw. Mikhail Katkov (1818-87) was not a profound political theorist, but his journalistic abilities and talent for argument made him an important figure in the creation of a feeling of national identity and purpose. After the Crimean War (1856) and the Polish insurrection of 1863, Katkov abandoned his liberal Anglophile views and rejected the early reforms of Alexander II. Instead he promoted a strong Russian state supported by an enthusiastic Russian people with a unified national outlook. His ideas were based on Western ideas (as opposed to Slavophile ideas). His literary magazine Russkii Vestnik and newspaper Moskovskiye Vedomosti (Moscow News) were influential media for promoting his views. Newspaper advertising became a major revenue source after 1895. Banks, railways, and major industries were active, and new advertising agencies emerged. The largest of these was Mettsel and Co. which at its peak controlled over half of the newspaper advertising market. Journalism was so far outside the traditional aristocratic realm, there were many openings for such diverse groups, including people with working-class backgrounds, women, and Jews. Antisemitism was a common theme in the Russian press. A leading Russian newspaper, Novoe Vremia [New Times] started attacking the Jews in the late 1870s. Its virulence increased during the revolutionary years 1904-06, when it charged Jews with seeking to dominate Russia. Julius Martov (1873–1923), a leading Menshevik, was the founder and editor of Russia's first Jewish journals and newspapers in Hebrew, Yiddish, and Russian; Ha-Melitz (The Advocate), Kol Mevasser (The Harbinger), Yidisher Folksblat (The Jewish People's Journal), and Vestnik russkikh evreev (Russian-Jewish Courier). The front page of Pravda on June 23, 1941, included a photo of Stalin and a speech by Foreign Minister Molotov. The Bolsheviks under Lenin set up the daily newspaper Pravda in January 1912. Before it was suppressed by the government in 1914. It was a "singularly effective propaganda and educational instrument which enabled the Bolsheviks to gain control of the Petersburg labor movement and to build up a mass base for their organization." Under Lenin, the Bolsheviks (Communists) took total control of all the media, 1917-1991. The major national newspapers were Izvestia (the voice of the government), and especially Pravda (the voice of the party). Pravda acquired the first and best printing equipment for illustrations. The leading newspapers developed a specialized rhetorical vocabulary designed to enhance the totalitarian structure of society, with total truth emanating from the top, and all sorts of mischievous errors stemming from clumsy bureaucrats at lower levels, or from devious traitors and spies working on behalf of capitalism. Ironclad uniformity of opinion was the norm during the Soviet era. The rare exceptions were indicators of high-level battles. The Soviet draft constitution of 1936 was an instance. Pravda and Trud (the paper for manual workers) praised the draft constitution. However Izvestiia was controlled by Nikolai Bukharin and it published negative letters and reports. Bukharin won out and the party line changed and started to attack "Trotskyite" oppositionists and traitors. Bukharin's success was short-lived; he was arrested in 1937, given a show trial and executed. The Communist leadership was rooted in printed propaganda. Taking over a nation where 90% could not read, they made schools and literacy a high priority in order to optimize printed journalism and propaganda through newspapers and magazines, as well as posters that reached the illiterate older generations. Radio was not neglected--it was a major new technology, and was used for political speeches. Soviet authorities realized that the "ham" operator was highly individualistic and encouraged private initiative– too much so for the totalitarian regime. Criminal penalties were imposed but the working solution was to avoid broadcasting over the air. Instead radio programs were transmitted by copper wire, using a hub and spoke system, to loudspeakers in approved listening stations, such as the "Red" corner of a factory. The Soviet style involved citizens listening to party leaders, using in-person speeches, radio talks or printed speeches. There was little role for the journalist to summarize or interpret the text; there was no commentary or background or discussion. No one questioned or challenged the leadership. There were no press conferences and little in the way of broadcast news. Foreign correspondents were strictly prevented from any access beyond official spokesmen. The result was a rosy depiction of Soviet life in the Western media before Khrushchev exposed Stalin's horrors in the 1950s. The most famous exemplar was Walter Duranty of the New York Times. Communism collapsed overnight in 1991, leaving the media free of Communist control. The publishers and journalists were challenged by the immediate need to find and report accurate news, secure subscriptions and advertising revenue, and gain the confidence of readers. Since 1999 Vladimir Putin has been in power, and he has severely punished journalists who challenge his official point of view. His control has been both indirect and direct. In 2012, the national government owned all six national television networks, two radio networks, two of the 14 national newspapers, and three out of five of the 45,000 local newspapers and periodicals. Reporters Without Borders, for instance, ranked Russia 148 in its 2013 list of 179 countries in terms of freedom of the press. It particularly criticized Russia for the crackdown on the political opposition and the failure of the authorities to vigorously pursue and bring to justice criminals who have murdered journalists. Freedom House ranks Russian media as “not free,” indicating that basic safeguards and guarantees for journalists and media enterprises are absent. The nationalistic tone of the dominant Russian media continued to drown out independent and critical journalism in 2015, stressing patriotic themes associated with Russia’s 2014 military incursions into Ukraine and the launch of air strikes in Syria....Progovernment media outlets also sought to mobilize public support and suppress any dissent in the face of an economic downturn linked to falling oil prices and Ukraine-related sanctions. Deterrents to independent reporting and commentary included draconian laws and extralegal intimidation. Most analysts focus on Putin, who has served continuously since 1999 as prime minister or president. Maria Lipman says, "The crackdown that followed Putin's return to the Kremlin in 2012 extended to the liberal media, which had until then been allowed to operate fairly independently." Marian K. Leighton says, "Having muzzled Russia's print and broadcast media, Putin focused his energies on the Internet." ^ a b "Krayevsky, Andrey Alexandrovich". www.hrono.ru. Retrieved 2012-12-01. ^ Charles Ruud, "The Russian Empire's New Censorship Law of 1865." Canadian-American Slavic Studies 3.2 (1969): 235-245. ^ "Andrey Krayevsky". Tchaikovsky Research. Retrieved 21 June 2015. ^ Effie Ambler, Russian journalism and politics, 1861-1881: the career of Aleksei S. Suvorin (1972). ^ Charles A. Ruus, Fighting Words: Imperial Censorship and the Russian Press, 1804-1906 (1982). ^ Louise McReynolds, "Autocratic Journalism: The Case of the St. Petersburg Telegraph Agency." Slavic Review 49#1 (1990): 48-57 in JSTOR. ^ Gary Marker, "Russian Journals and their Readers in the Late Eighteenth Century" Oxford Slavonic Papers (1986), Vol. 19, p88-101..
^ V. A. Kitaev, "The Unique Liberalism of Vestnik Evropy (1870-1890)." Russian Studies in History 46#1 (2007): 43-61. ^ Anton A. Fedyashin, Liberals under Autocracy: Modernization and Civil Society in Russia, 1866–1904 (2012). ^ Martin Katz, Mikhail N. Katkov: A Political Biography, 1818-1887 (1966). ^ A. N. Bokhanov, "The Bourgeois Press and the System of Paid Advertising." Soviet Studies in History 25#1 (1986): 81-106. ^ Daniel Balmuth, "Novoe Vremia’s War Against the Jews." East European Jewish Affairs 35.1 (2005): 33-54. ^ Israel Getzler, Martov: A Political Biography of a Russian Social Democrat (2003). ^ Katerina Romanenko, "Photomontage for the Masses: The Soviet Periodical Press of the 1930s." Design Issues 26.1 (2010): 29-39. ^ Ellen Wimberg, "Socialism, democratism and criticism: The Soviet press and the national discussion of the 1936 draft constitution." Europe‐Asia Studies 44#2 (1992): 313-332. ^ Boris N. Mironov, "The Development of Literacy in Russia and the USSR from the Tenth to the Twentieth Centuries." History of Education Quarterly 31.2 (1991): 229-252 in JSTOR. ^ Ben Eklof, "Russian literacy campaigns, 1861–1939." in Harvey J. Graff and Robert F. Arnove, eds., National Literacy Campaigns and Movements: Historical and Comparative Perspectives (Springer US, 1987) pp. 123-145. ^ Stephen Lovell, "Broadcasting Bolshevik: The radio voice of Soviet culture, 1920s–1950s." Journal of Contemporary History 48.1 (2013): 78-97. ^ Whitman Bassow, Moscow Correspondents: From John Reed to Nicholas Daniloff (1988). ^ Sally J. Taylor, Stalin's Apologist: Walter Duranty: The New York Times's Man in Moscow (Oxford UP, 1990). ^ Ralph Elphick, "Moscow's blue pencils and the green baize door," Historical Journal of Film, Radio & Television (2004) 24#3 pp 491-495. Elphick was a Reuters correspondent in Moscow 1958-62. ^ Ginger Rosenkrans, "Since the end of the state-run press: Evolution of Russian newspapers from Perestroika to 1998." Journal of Government Information 28.5 (2001): 549-560. ^ Maria Lipman, "How Putin Silences Dissent: Inside the Kremlin's Crackdown." Foreign Affairs 95#1 (2016): 38. ^ Marian K. Leighton, "Muzzling the Russian Media Again." (2016): 820-826. ^ Andrei Soldatov and Irina Borogan, The Red Web: The Struggle Between Russia’s Digital Dictators and the New Online Revolutionaries (2015). Ambler, Effie. Russian journalism and politics, 1861-1881: the career of Aleksei S. Suvorin (1972). Pogorelskin, Alexis E. "Poriadok and the War Among Russian Newspapers in 1881." Canadian-American Slavic Studies 17.2 (1983): 257-276. Ruus, Charles A. Fighting Words: Imperial Censorship and the Russian Press, 1804-1906 (1982). Schleifman, Nurit. "A Russian Daily Newspaper and Its New Readership:" Severnaia Pchela", 1825-1840." Cahiers du monde russe et sovietique (1987): 127-144.online details on one of the first important newspapers. Kenez, P. The Birth of the Propaganda State: Soviet Methods of Mass Mobilization, 1917–1929 (Cambridge UP, 1985). Lovell, Stephen. Russia in the Microphone Age: A History of Soviet Radio, 1919-1970 (Oxford UP, 2015). Lovell, Stephen. "Broadcasting Bolshevik: The radio voice of Soviet culture, 1920s–1950s." Journal of Contemporary History 48#1 (2013): 78-97. Remington, Thomas. "The mass media and public communication in the USSR." Journal of Politics 43#3 (1981): 803-817. Rogers, Rosemarie. "Education and Political Involvement in USSR Newspaper Reading." Journalism and Mass Communication Quarterly 47.4 (1970) pp: 735+. Interviews show the Communist elite did read Pravda and Izvestia very closely every day. Rogers, Rosemarie. "The Soviet mass media in the sixties: Patterns of access and consumption." Journal of Broadcasting & Electronic Media 15#2 (1971): 127-146. Wolfe, Thomas C. Governing Socialist Journalism: The Press and the Socialist Person after Stalin (2005). Benn, David Wedgwood. "The Russian media in post‐Soviet conditions." Europe‐Asia Studies 48.3 (1996): 471–479. Burrett, Tina. Television and presidential power in Putin’s Russia (Routledge, 2010). Rosenkrans, Ginger. "Since the end of the state-run press: Evolution of Russian newspapers from Perestroika to 1998." Journal of Government Information 28.5 (2001): 549–560. Agitprop is political propaganda, especially the communist propaganda used in Soviet Russia, that is spread to the general public through popular media such as literature, plays, pamphlets, films, and other art forms with an explicitly political message. Vladimir Nikolayevich Voinovich, also spelled Voynovich, was a Russian writer and former Soviet dissident. Among his most well-known works are the satirical epic The Life and Extraordinary Adventures of Private Ivan Chonkin and the dystopian Moscow 2042. He was forced into exile and stripped of his citizenship by Soviet authorities in 1980 but later rehabilitated and moved back to Moscow in 1990. After the fall of the Soviet Union, he continued to be an outspoken critic of Russian politics under the rule of Vladimir Putin. Likbez was a campaign of eradication of illiteracy in Soviet Russia and Soviet Union in the 1920s and 1930s. The term was also used for various schools and courses established during the campaign. Nowadays this term is sometimes used in Russian as a slang for answers on common questions. Mikhail Nikiforovich Katkov was a conservative Russian journalist influential during the reign of tsar Alexander III. He was a proponent of Russian nationalism, an important figure in the creation of a feeling of national identity and purpose. After the Crimean War (1856) and the Polish insurrection of 1863, Katkov abandoned his liberal Anglophile views and rejected the early reforms of tsar Alexander II. Instead he promoted a strong Russian state supported by an enthusiastic Russian people with a unified national outlook. His ideas were based on Western ideas. His literary magazine Russkii Vestnik and newspaper Moskovskie Vedomosti were successful and influential media for promoting his views. Printed media in the Soviet Union, i.e., newspapers, magazines and journals, were under strict control of the Communist Party and the Soviet state. The desire to disseminate propaganda is believed to have been the driving force behind the creation of the early Soviet newspapers. Until recently, newspapers were the essential means of communicating with the public, which meant that they were the most powerful way available to spread propaganda and capture the hearts of the populace. Additionally, within the Soviet Union the press evolved into the messenger for the orders from the Central Committee to the party officials and activists. Due to this important role, the Soviet papers were both prestigious in the society and an effective means to control the masses. However, manipulation initially was not the only purpose of the Soviet Press. 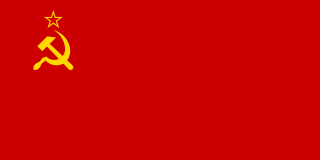 The All-Union Communist Party Bolsheviks is a Marxist–Leninist and anti-revisionist political party operating in Russia and other former Soviet states. It was founded in November 1991 and led by Nina Andreyeva, a university teacher who was well known for her 1988 letter "I cannot give up my principles". Yemelyan Mikhailovich Yaroslavsky was an ethnic Jewish Russian Bolshevik Revolutionary, Communist Party Member, Journalist, and Historian. Rabotnitsa is a women's journal, published in the Soviet Union and Russia and one of the oldest Russian magazines for women and families. Founded in 1914, and first published on Women's Day, it is the first socialist women's journal, and the most politically left of the women's periodicals. While the journal's beginnings are attributed to Lenin and several women who were close to him, he did not contribute to the first seven issues. Pavel Grigorievich Sheremet was a Belarusian-born Russian and Ukrainian journalist who was imprisoned by the government of Belarus in 1997, sparking an international incident between Belarus and Russia. The New York Times has described him as "known for his crusading reports about political abuses in Belarus" and "a thorn in the side of Lukashenko's autocratic government". He was awarded the Committee to Protect Journalists' International Press Freedom Award in 1999 and the Organization for Security and Co-operation in Europe's Prize for Journalism and Democracy in 2002.